This is an optional set of three front anti-roll bars for the XRAY T2 1/10th scale touring car. 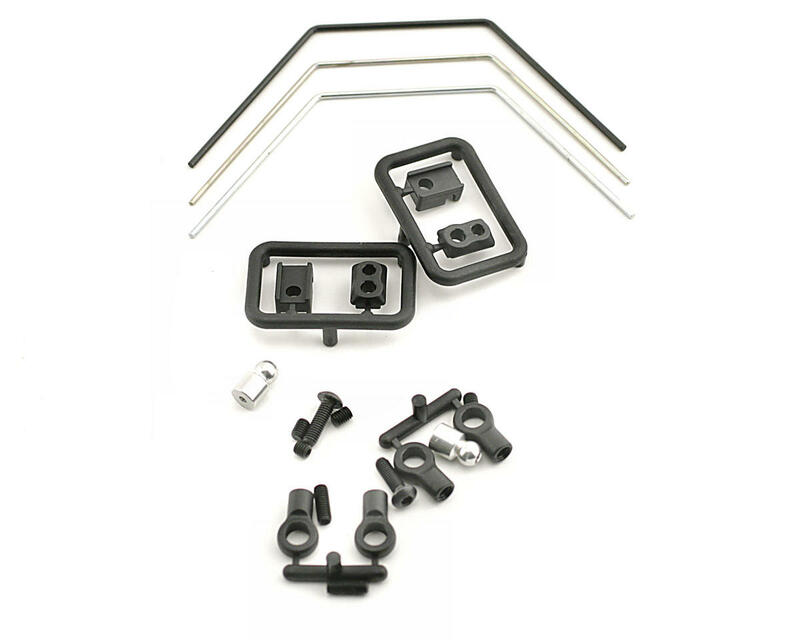 If your XRAY T2 is over steering, then try this optional front anti-roll bar set. The front anti-roll bar will decrease front chassis roll and decrease front traction, reducing your car’s steering. 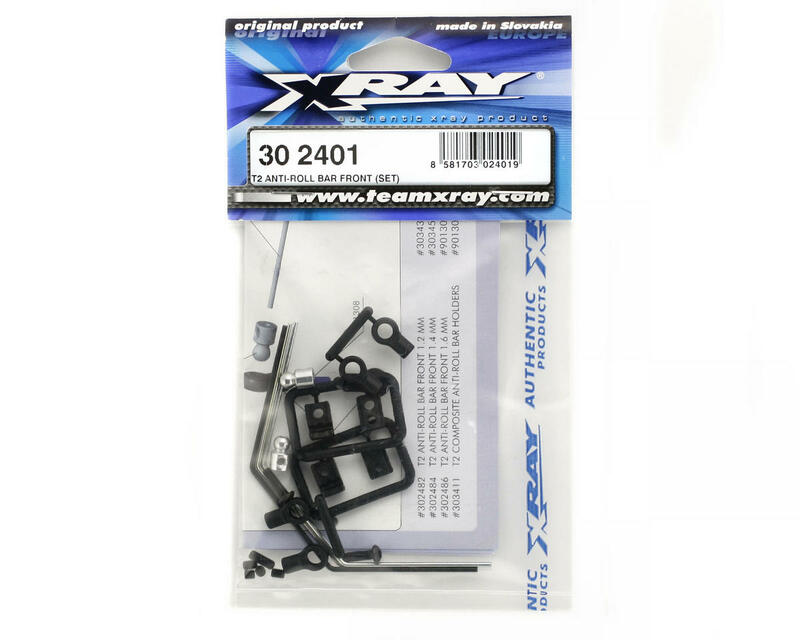 This complete front anti-roll bar set for the XRAY T2 includes all necessary hardware, and includes three different anti-roll bars: 1.2, 1.4, and 1.6mm.